As we emerged from the sea fog on the cliffs above Kimmeridge we passed the Clavell Tower. It was a strange thing, standing isolated and seemingly empty. Built in 1830, it clearly had character in its design, but where was that character now? It was attractive, but to me that it was devoid of any soul. How could that be? 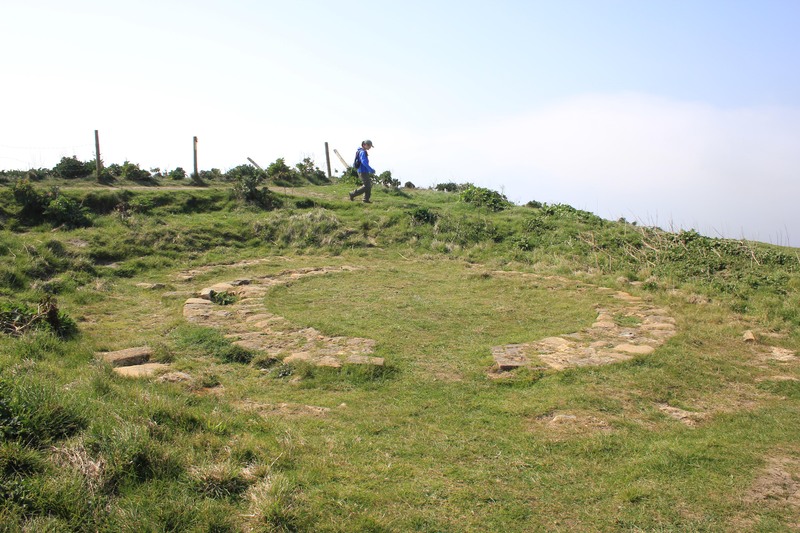 During its lifetime it has been used as an observatory, folly and coastguard lookout. It has been gutted by fire. It was a favourite place of Thomas Hardy. It was the inspiration of a PD James novel. It was used as a location for a Style Council music video. So with all that history where had its soul gone? The answer lies in the fact that this 180-year old tower was relocated back from the cliff edge in 2005-8, and at the same time was refurbished to be capable of letting out. It was taken down stone by stone (there were 16,272 stones in all) and then rebuilt 25 metres further inland. That would explain the “new” feel to the structure; it needed to weather in. Its old plot had not quite succumbed to the eroding cliffs when we passed it. We could still see its footprint, standing like another fossil on the Jurassic Coast. We dropped into Kimmeridge Bay and finished today’s walk. 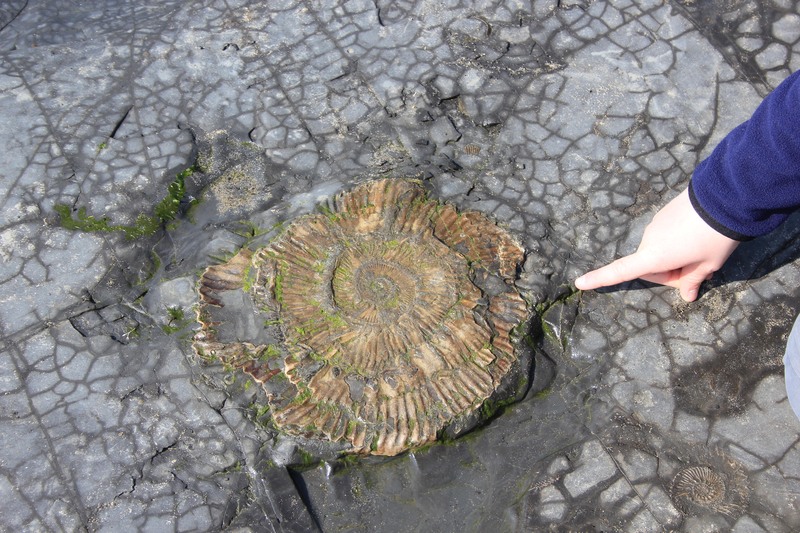 The tide was out and the fossils in the rock were on full display. There are some great examples to be found here. 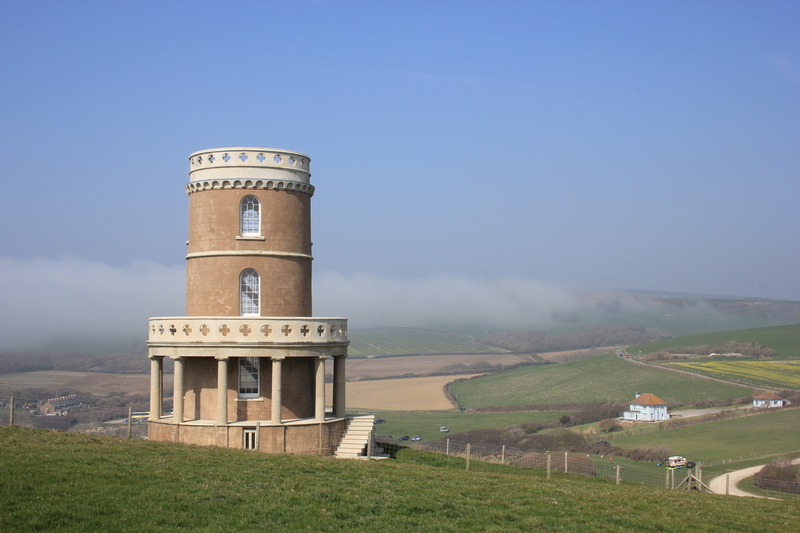 This entry was posted in Dorset and tagged architecture, Clavell Tower, coast, fossil, Kimmeridge, travel, walking. Bookmark the permalink.